With 2014 coming to a close and the new year on the horizon, it’s the perfect time to set your sights on a goal for 2015. Maybe you’ve got a very specific goal, like losing a set amount of weight, or a more general goal, like being happier. Whatever you want to accomplish in 2015, there will be moments when you struggle. There may be moments when you feel as though you’ve failed or want to quit. When you feel like that, reach out to your friends and family for encouragement. Look at the progress you’ve made so far and congratulate yourself. If you’re still in need of a boost, check out TED.com. This website has a near-endless supply of videos and publications to inspire. 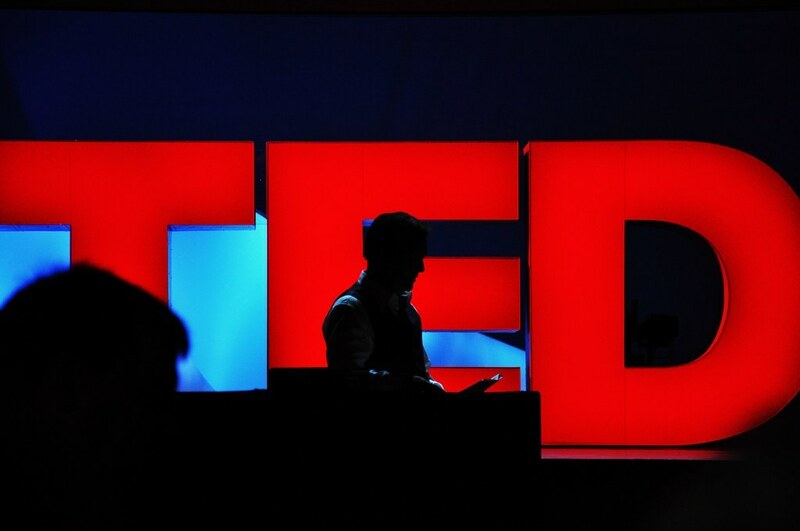 Here are five of the best inspirational TED talks from 2014. It’s easy to talk yourself out of going for the gold. Maybe you think you’re too old, too heavy, too tired, or in too much pain. The speaker in this talk, Isabel Allende, will prove you wrong. At 71 years old, Allende is beautiful, vivacious, and hilarious. She pokes fun at herself while touting the benefits of age – like the freedom to enjoy who she is. Allende says “yes” to life. She describes others who do the same, painting a vibrant, wonderfully-entertaining picture of life after 60. She also points out that the Spanish word for “retirement” is “jubilacíon,” which means jubilation or celebration. Whether you’re close to (or past) the 60-year mark, or whether you’re in your 20s and just need a pep-talk, Allende will make you laugh while inspiring you to do anything you put your mind to, no matter the obstacles. In his own words, Saunders is “an expert in dragging heavy stuff around cold places,” but this doesn’t begin to describe his and his teammate’s achievement. They walked from the coast of Antarctica to the South Pole and back again, dragging their supplies the entire way. It was 1,800 miles round trip and took 105 days to accomplish. Before Saunders and his teammate, only nine people had attempted the journey – and five had died trying. This TED talk is a great one whether or not you have a disability. You’ll have a very different perspective by the time you’ve finished it. Young is disabled, and she’s noticed people with disabilities tend to be objectified as nothing more than a source of inspiration for everyone else. For example, after speaking for 20 minutes to a legal studies class, a student asked her when she was going to start talking about “inspirational stuff,” because he had only experienced disabled people as objects of inspiration. Society, Young says, believes that disability is a bad thing, and people living with disabilities are extraordinary because of this, but she says that this isn’t true. Disability isn’t a bad thing, and it doesn’t make people exceptional. Difficulties are, more often than not, how people define themselves. Jarvis experienced this first-hand during years working at hospitals, hospices, and a cancer center. When she was diagnosed with breast cancer, she saw how quickly her own identity became centered around cancer, whether she wanted it that way or not. Others tried to tell her how she would (or should) feel, rather than allowing her to experience her cancer in her own way. Listen to this TED talk when you’re struggling. Find some meaning in your struggle and figure out how to use that meaning to change your life for the better. Then, as Jarvis reminds people, move on. Don’t allow yourself to stay stuck and stagnant, defined only by that negative experience. Finally, if you’re having a tough time figuring out what to do in 2015, listen to Gilbert’s TED talk. She’s the author of Eat, Pray, Love, and in this talk she discusses the difficulties of following her passion even after her first major success. Whether you’ve had a recent big success, a small success, or even a failure, this is a great talk if you need a little help finding your way back to what you really care about. Gilbert compares her success with her early failure. Both experiences, she says, flung her far away from her home. Her home is the thing she loves more than she loves herself: writing. With both success and failure, you can end up so far away from what’s familiar that it’s easy to give up. Your home will be different than Gilbert’s, but she makes a strong point. Find what matters most, and then devote yourself to it. What’s your favorite inspirational TED talk?